Well… buying a bespoke or custom made to order kitchen (also known as ‘made to measure’), means you will be purchasing into the realms of the higher class. Whilst many people go to mass produced kitchen manufacturers for their wonderful kitchens, that may sag and look tired after 2 years… Your kitchen will remain absolutely perfect for many years to come. So it pays to get it right by choosing bespoke/handmade! 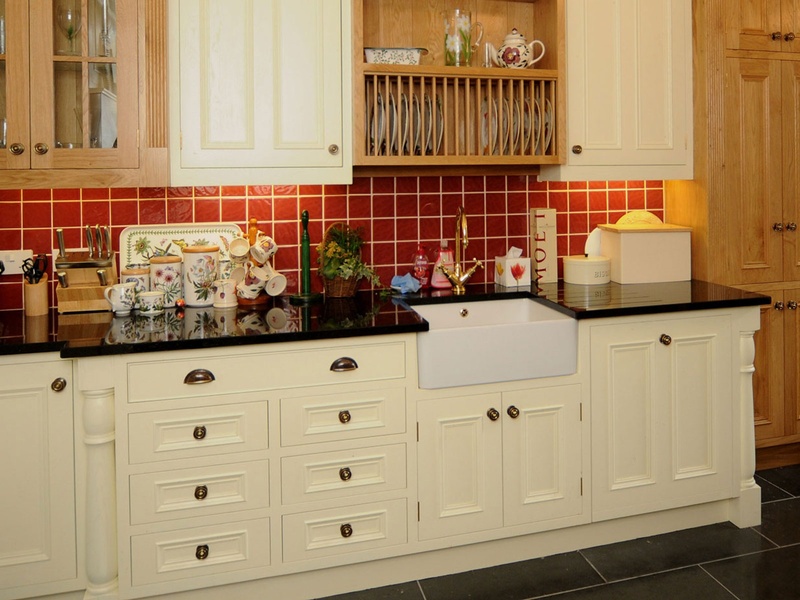 Working with Welsh kitchens will inspire you to create that perfect kitchen made without standard sizes but with exceptional design, detail and quality. Unlike normal kitchens, we make all our units as items of furniture. This sink unit (above) has drawers, a Belfast sink base and a fully integrated dishwasher, but instead of having a frame around the dishwasher, a frame to the sink unit and another set around both sets of drawers. We make a large single frame that goes around the whole piece. So basically, this run of units is made in one piece and built to a certain dimension that fits the space perfectly. 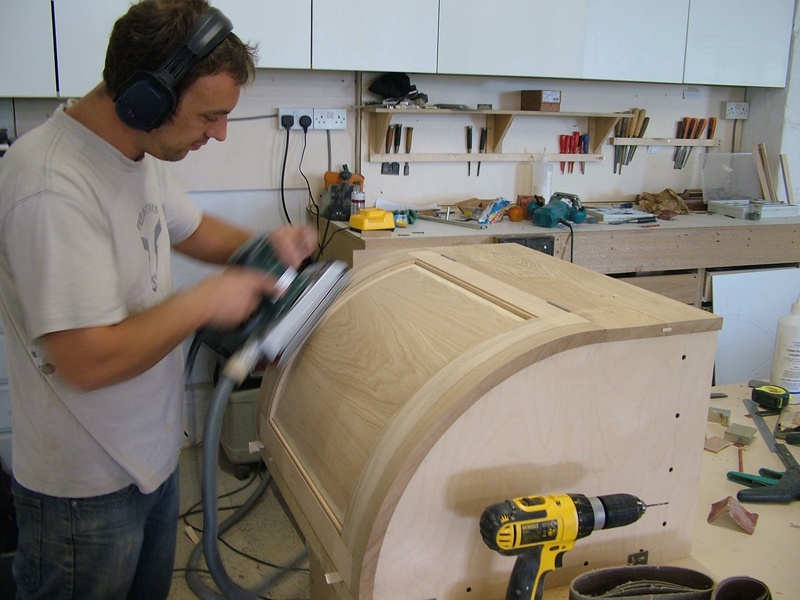 Mark Stone the owner and chief cabinetmaker at work on a hand made curved oak cupboard.